If you notice that your washing machine produces leaks of water and cleaning product from the front rather than the base of the machine, then there is likely to be a problem with the door seal. What does the washing machine door seal do? The washing machine door seal, otherwise known as a gasket, is a very important part of the appliance on a front loader machine. It securely seals the door in place when shut to prevent any water getting out. During a cycle, most washing machine doors automatically lock which is when the door seal does its job best. 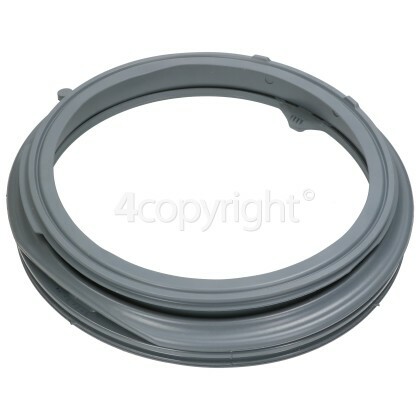 Is the washing machine door seal causing the problem? Bear in mind that the door seal may not be the only fault that can cause a leak in your washing machine. 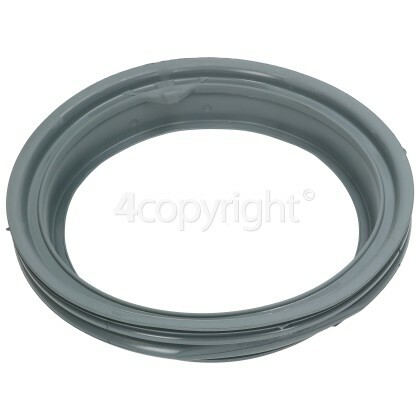 Use this genuine door gasket to replace a worn or pierced seal, and to help ensure that your machine is leak-free. Leakages can cause water and scale damage to your appliance and to nearby fixtures, so a working seal is ideal for a well-maintained machine. If you're not sure what's causing the fault with your Beko Washing Machine or you aren't able to complete the repair yourself then our partner service, Repaircare, is just what you need.